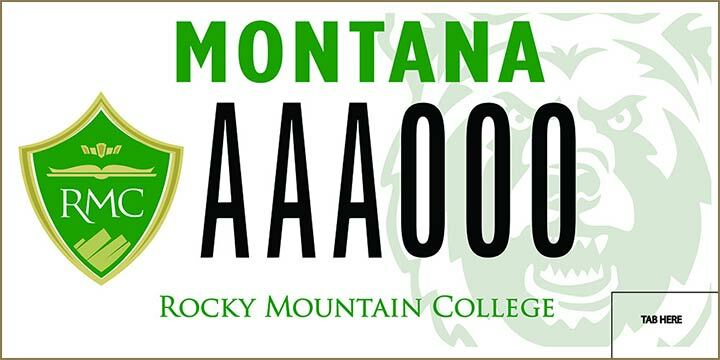 Now is a great time to show your RMC pride with an official Rocky Mountain College license plate. These redesigned plates prominently feature both the RMC shield and athletic logo, so everywhere you go, people will know you are a proud RMC alum or parent! $30 from each purchase directly supports RMC student scholarships. Plates are available at any Montana Department of Justice Motor Vehicle Division. For more information call 406.657.1006 or email alumni@rocky.edu.